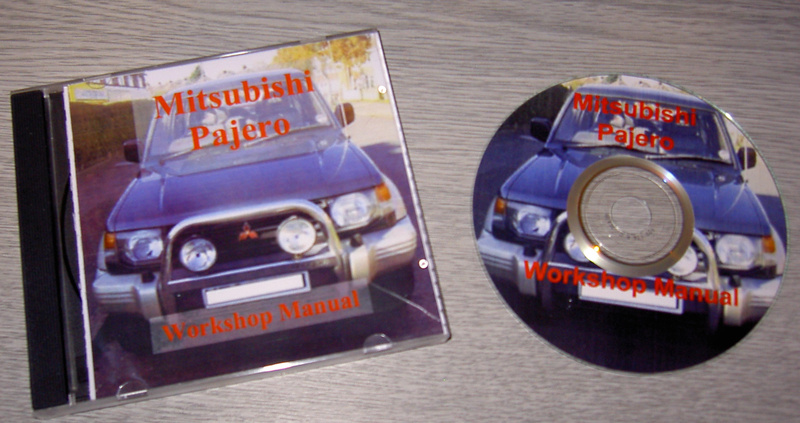 This CD contains workshop manual and repair information for the Mitusbishi Shogun, Pajero and Montero 4 x 4 vehicles including Sport (Challenger) versions. These workshop manuals are essential for anybody maintaining and repairing there own Mitsubishi Shogun, Mitusbishi Pajero or Mitsubishi Montero or Sport / Challenger versions. Model designations include - H65W, H76W, K94W, K96W, Lo42G, L044G, Lo47G, Lo49G, L141G, L144G, L146G, L148G, L149G, V11V, V11W, V12C, V12V, V12W, V13V, V14C, V14V, V21C, V21W, V23W, V23C, V23W, V24C, V24V, V24W, V25W, V26W, V31V, V31W, V32V, V32W, V33V, V33W, V34V, V34W, V36V, V36W, V41W, V43W, V44W, V44V, V45W, V46W, V63W, V64W, V65W, V66W, V68W, V73W, V74W, V75W, V76W, V78W. Engine (6G7, 4D5 & 4M4), Engine Lubrication, Fuel - GDI (Petrol), Diesel (4D5, 4M4 & 4D5 step III), Fuel Supply, Mitsubishi Stability Control, Engine Cooling, Intake & Exhaust, Engine Electrical, Engine & Emission Control, Manual Transmission (V5MT1 & V5M31), Automatic Transmission, Propellor Shaft, Front Axle, Rear Axle, Wheel & Tyre, Power Plant Mounting, Front Suspension, Rear Suspension, Service Brakes, Parking Brakes, Steering, Body, Exterior, Interior, Supplemental restraint System, Chassic Electrical, Heater, Air Conditioning & Ventilation, Year 2002 electrical supplement. Engine (6G7, 4D5), Engine Lubrication, Fuel - MPI (Petrol) & Diesel, Engine Cooling, Intake & Exhaust, Engine Electrical, Engine & Emission Control, Clutch, Manual Transmission (V5MT1-4-BFG & V5MT1-4-AEG), Propellor Shaft, Front Axle, Rear Axle, Wheel & tyre, Power Plant MOunt, Front Suspension, Rear Suspension, Service Brakes, Parking Brakes, Steering, Body, Exterior, Interior, Supplemental Restraint System, Chassis Electrical, Heater, Air Conditioning & Ventilation, Workshop Manual Supplement (2000 & 2001), Service Bulletins. F4M21, F5M21, F5M22, F5M31, F5M33, W5M31, W5M33, KM182, W5MG1, W6MG1, F3A21, F3A22, F4A21, F4A22, F4A23, F4A33, W4A32, W4A33, R4M21 (to 2000), R5M21 (To 2000), V5M21 (To 2000), V5MT1, R5M3, V5M3, R5M21 (From 2001), V5M21 (From 2001), R4AW2, V4AW2, R4AW3, V4AW3, V4AW4, R4A51, V4A51, V5A51, F5MR1, F5MR2, F5MR3, F5M41, F5M42, W5M42, F5M51, F4A41, F4A42, F4A51. Including Clutch mechanisms. As well the Pajero, Montero, Shogun range of vehicles these were also related to the Hyundai Terracon & Dodge Raider and sold under other names such as Pajero Field Master and Pajero SFX. Both Short Wheel Base (SWB) and Long Wheel Base (LWB) versions are covered. All manual and Automatic Transmisison versions are covered including Mitsibishi Super Select 2 wheel and 4 wheel drive systems, 2 wheel high and 4 wheel high and low range. Manuals will also be applicable to the Pajero based Mitsubishi Delcia range. As well as the Mitsubishi Shogun, Pajero, Monterio range the engine and transmission manuals in particular could be useful to owners of other Mitsubishi vehicles. The Transmission and Engine workshop Manuals may cover the following models but check with the specific engine and transmission (gearbox) models listed above to ensure it covers your particular Mitsubishi vehicle.